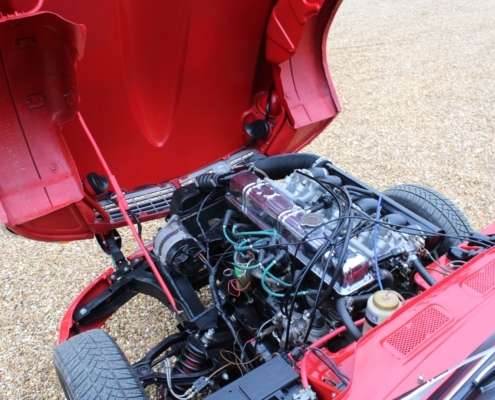 This is a stunning MK2 finished in Signal Red with black interior with overdrive. 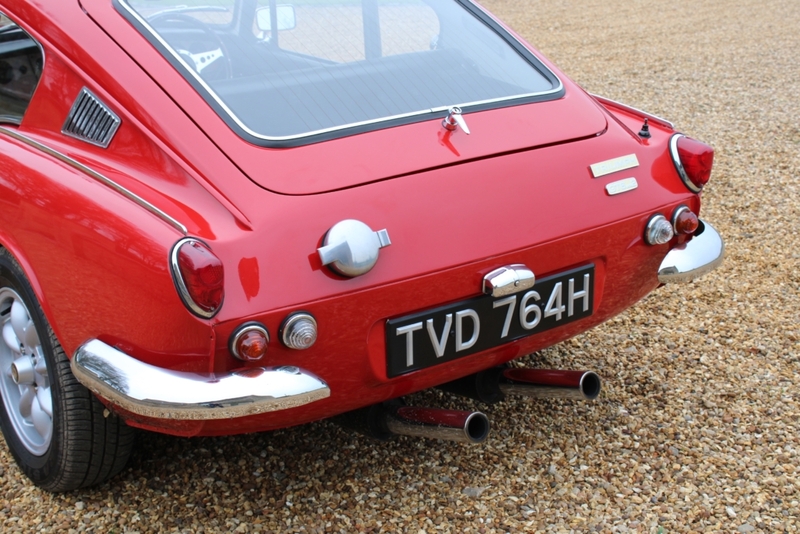 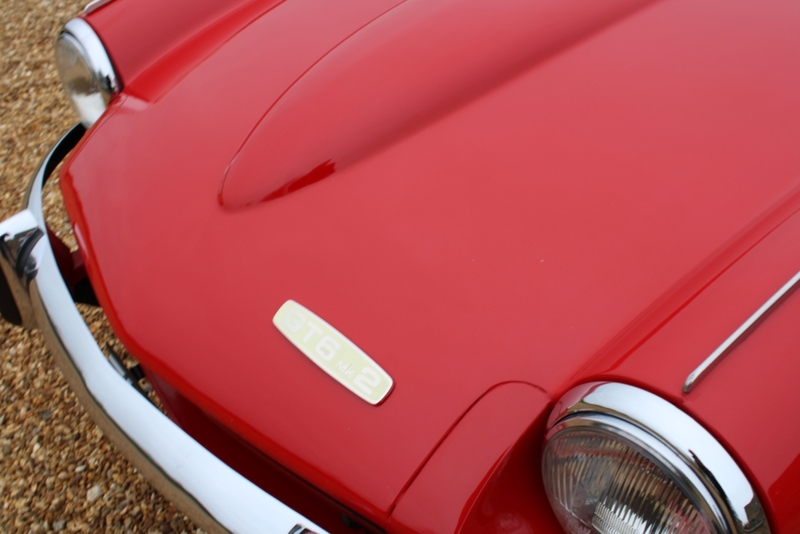 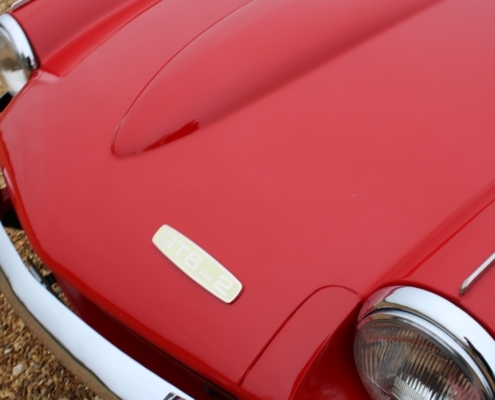 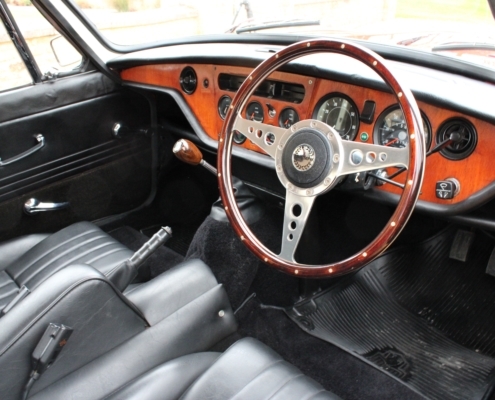 She was professionally restored in 2013 by the World renowned GT6 Specialist Jigsaw Racing and there is a comprehensive photo gallery with each stage catalogued in great detail. 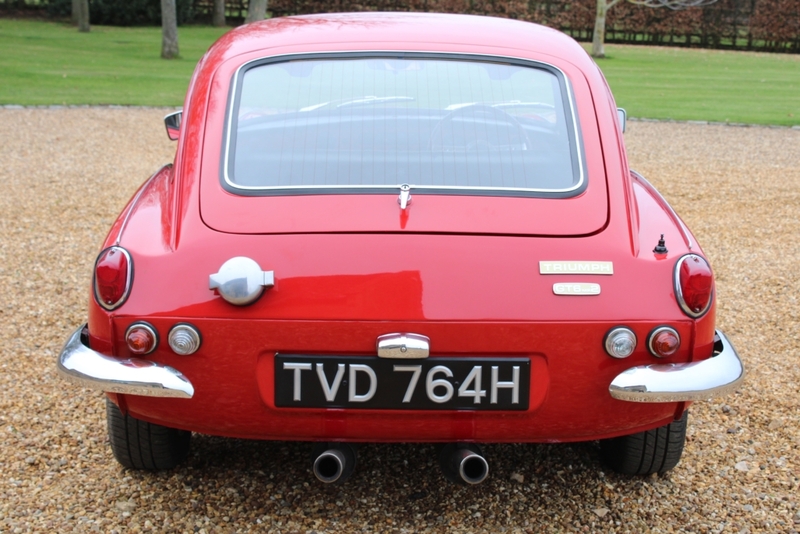 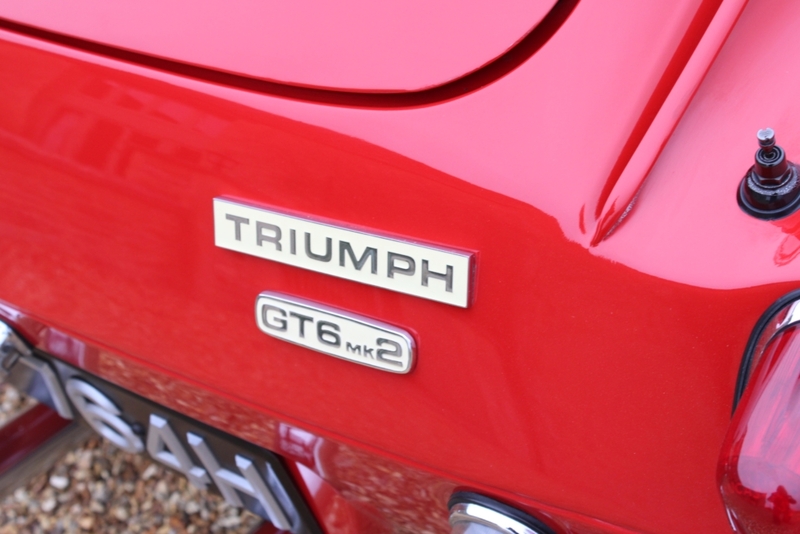 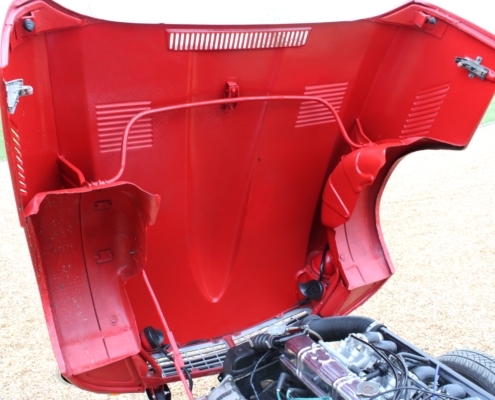 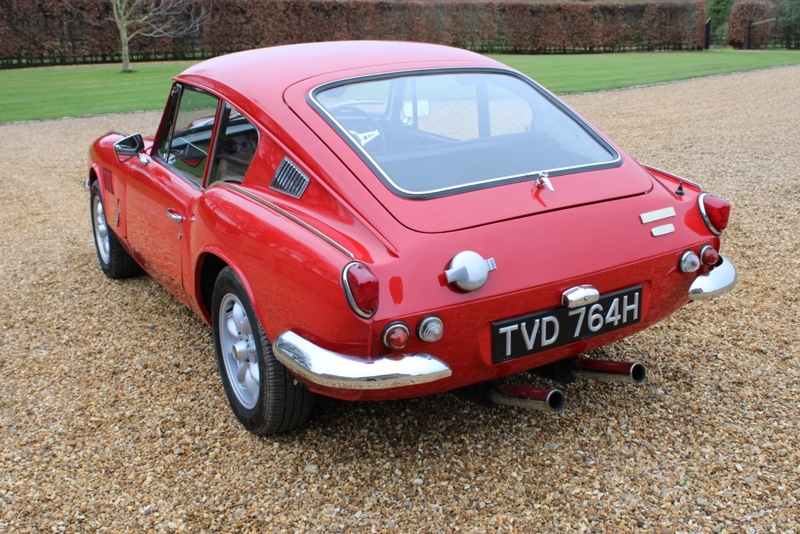 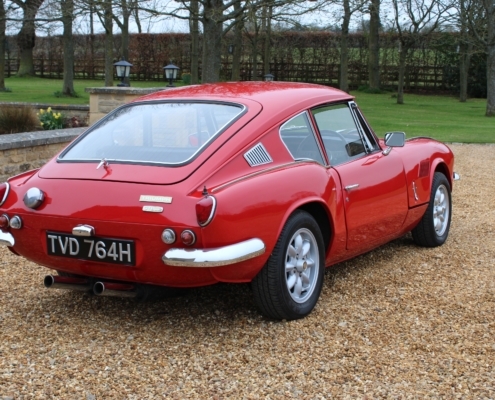 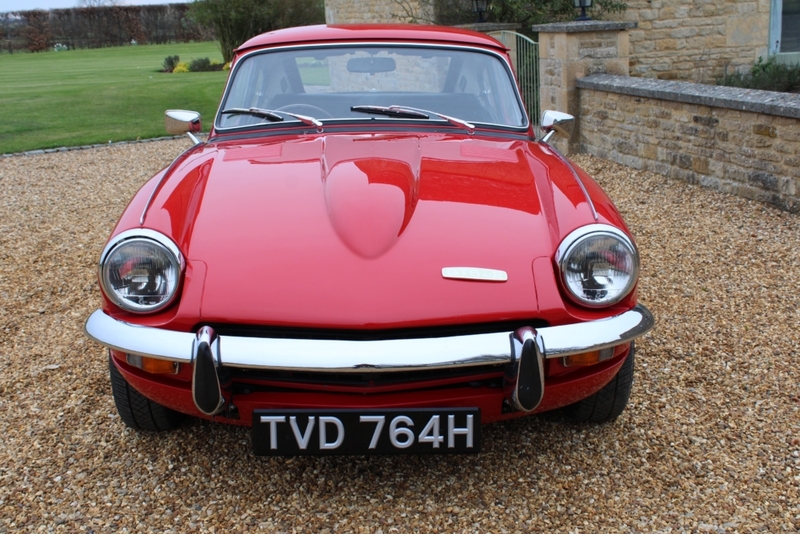 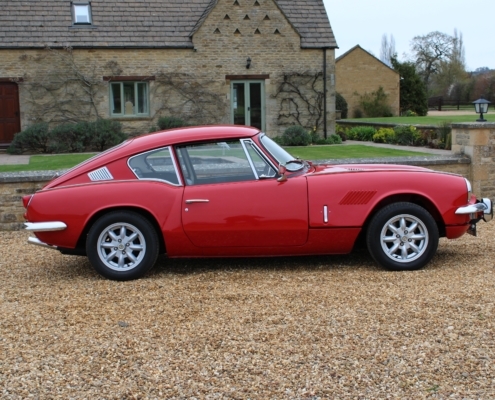 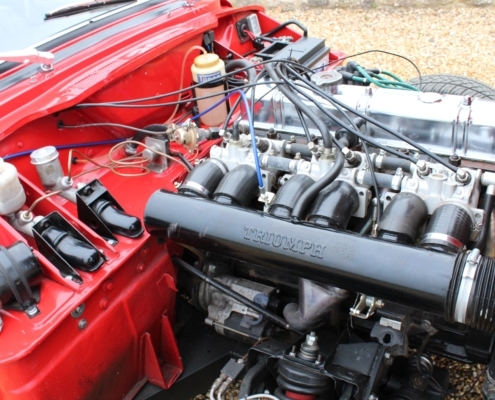 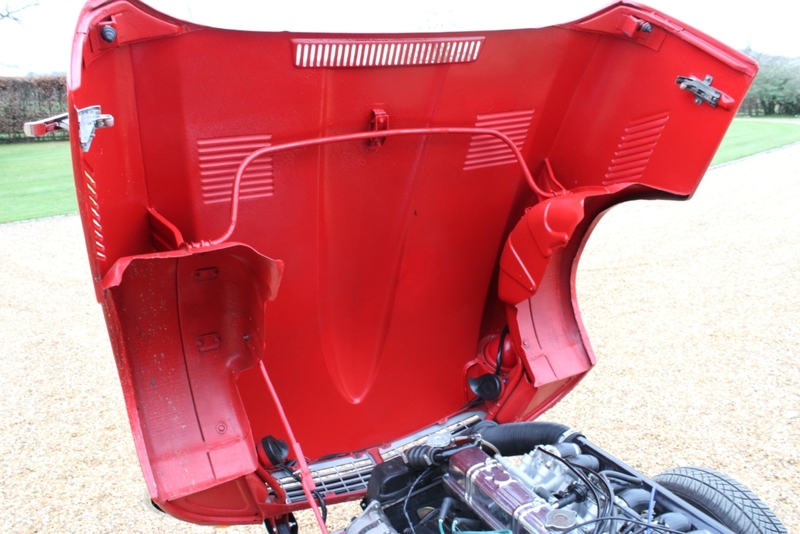 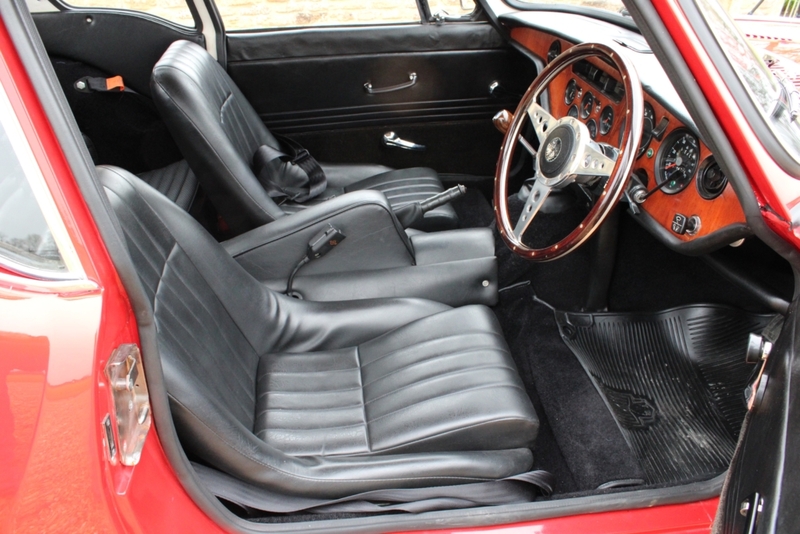 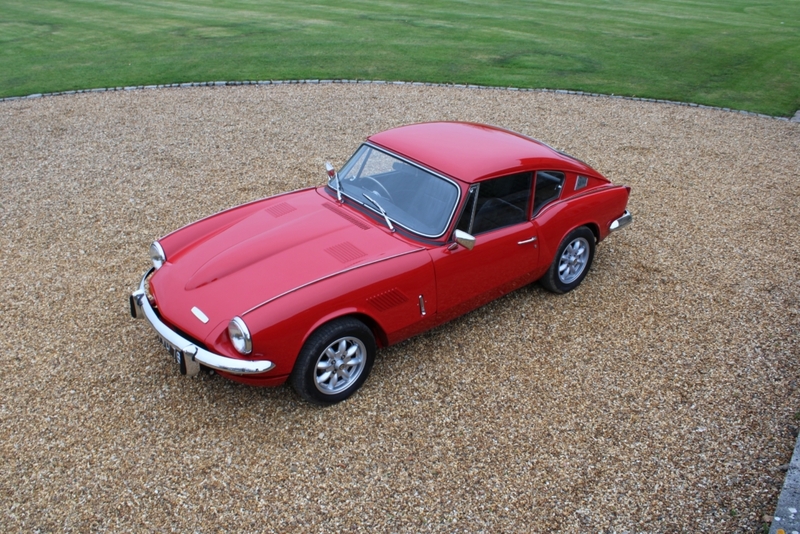 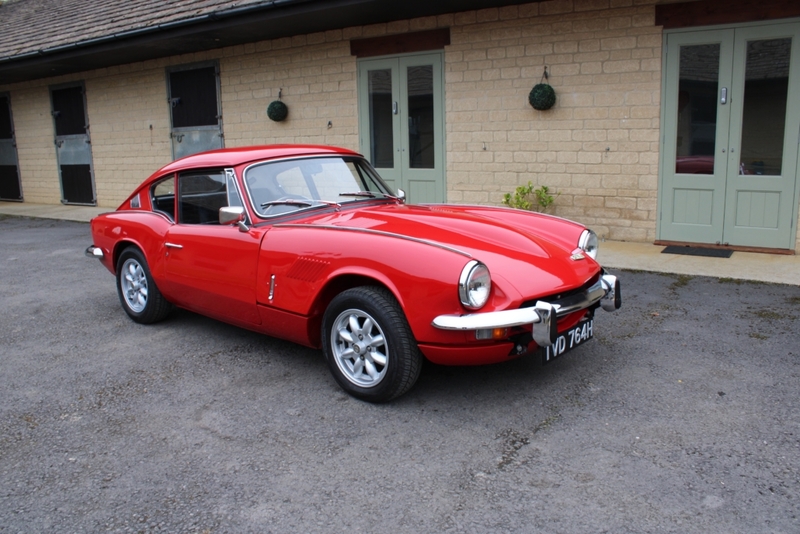 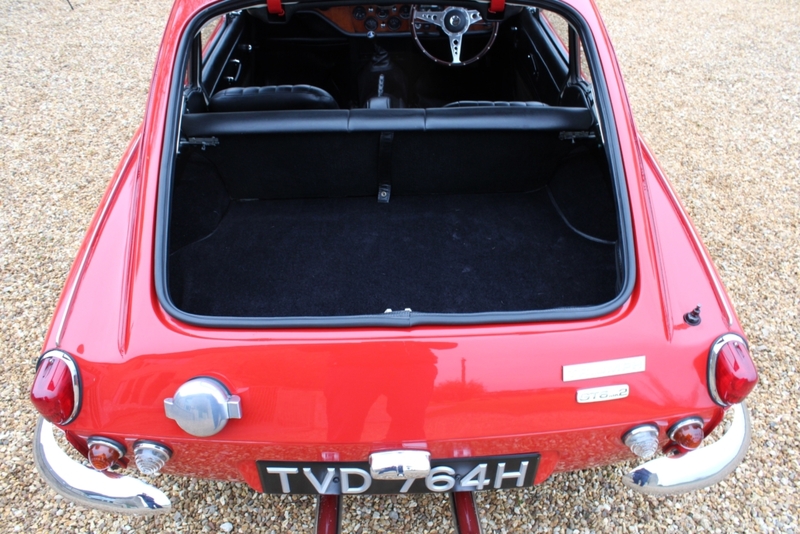 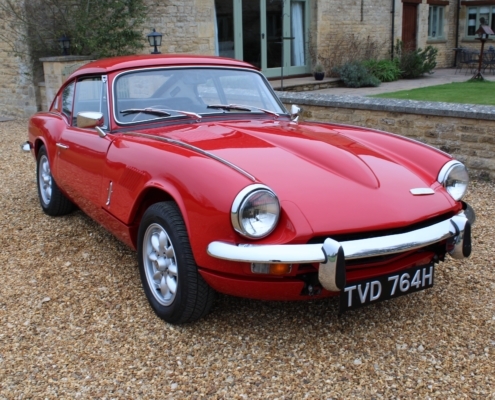 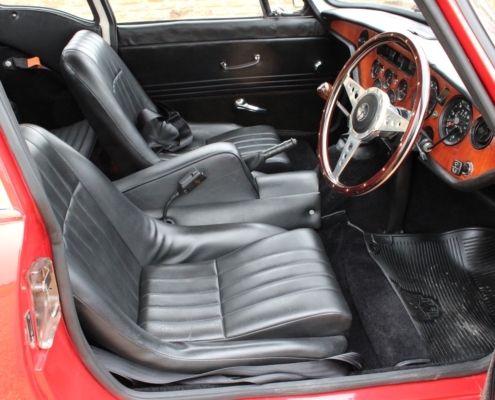 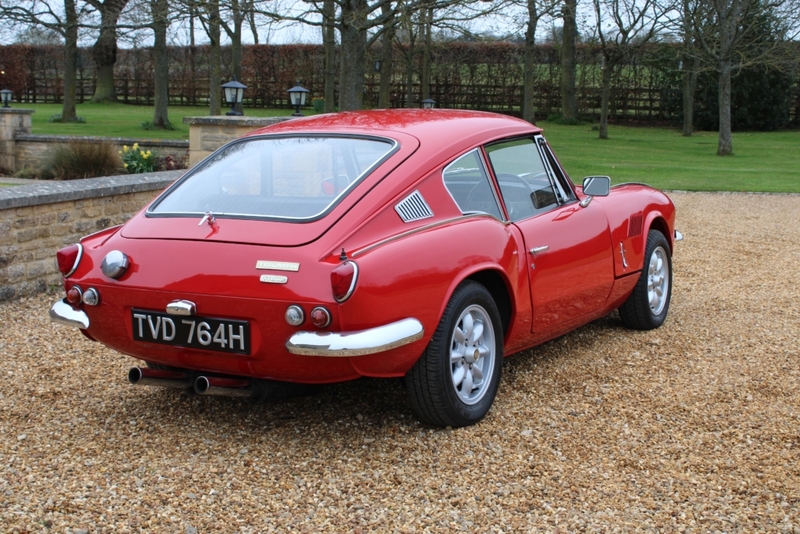 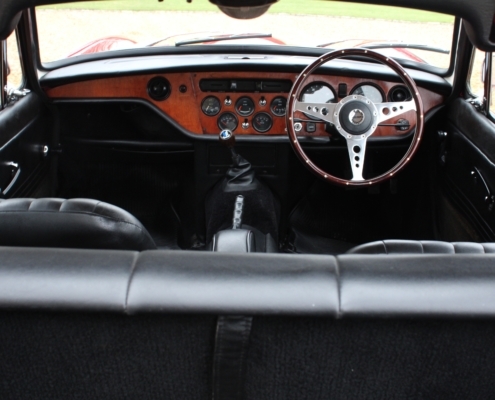 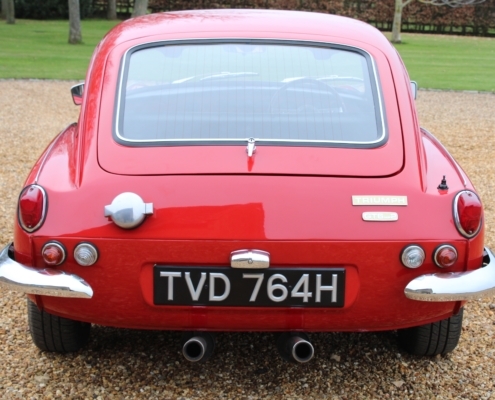 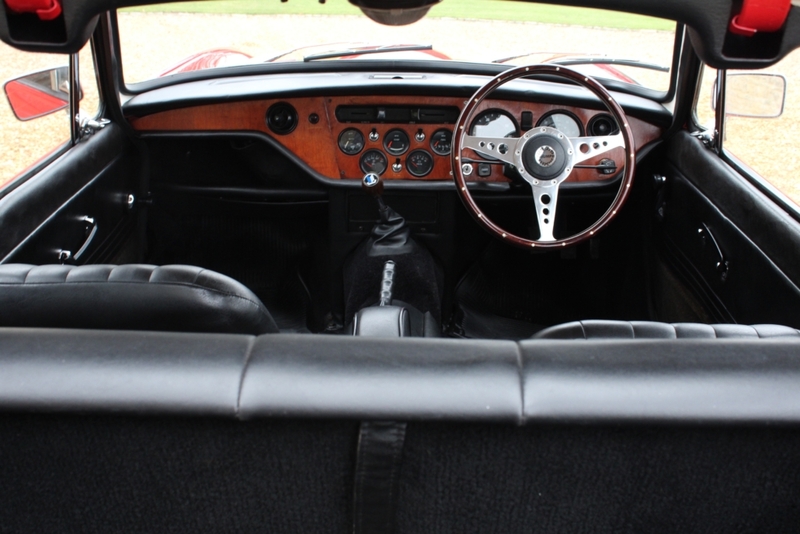 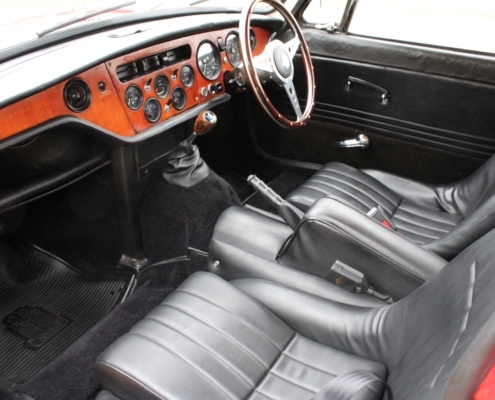 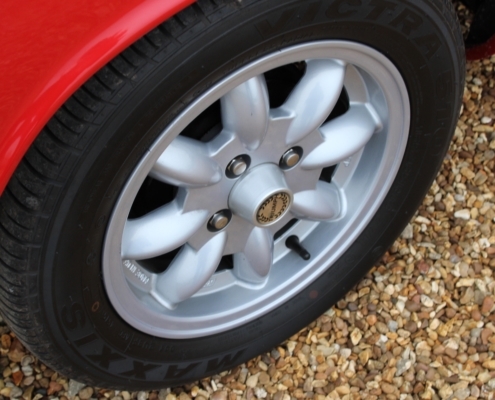 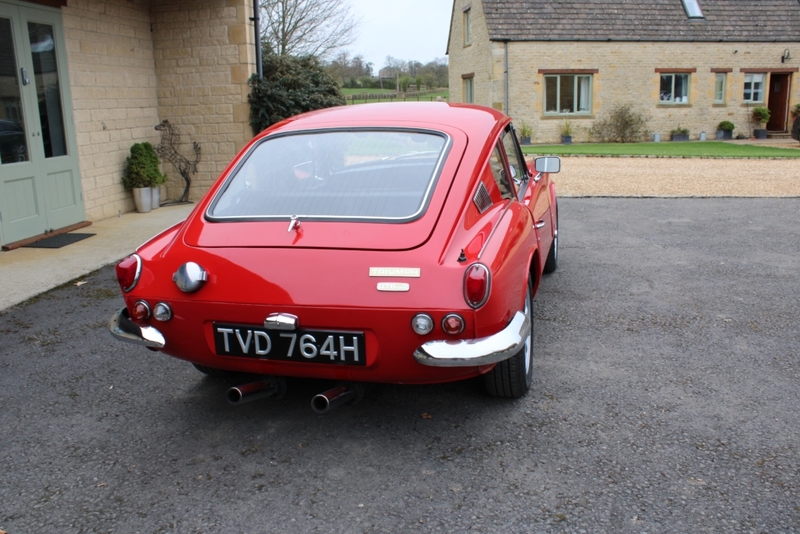 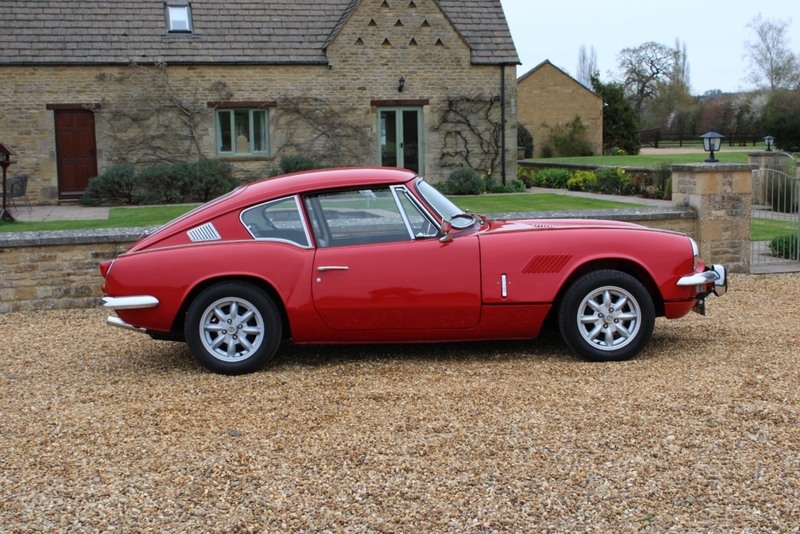 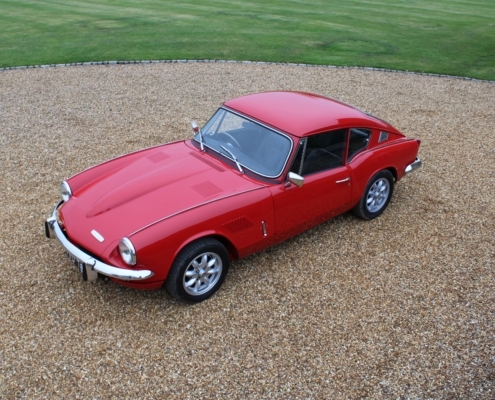 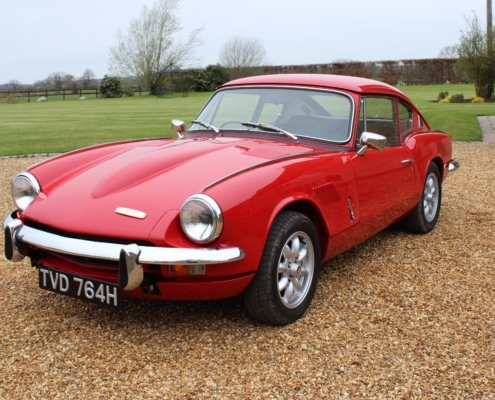 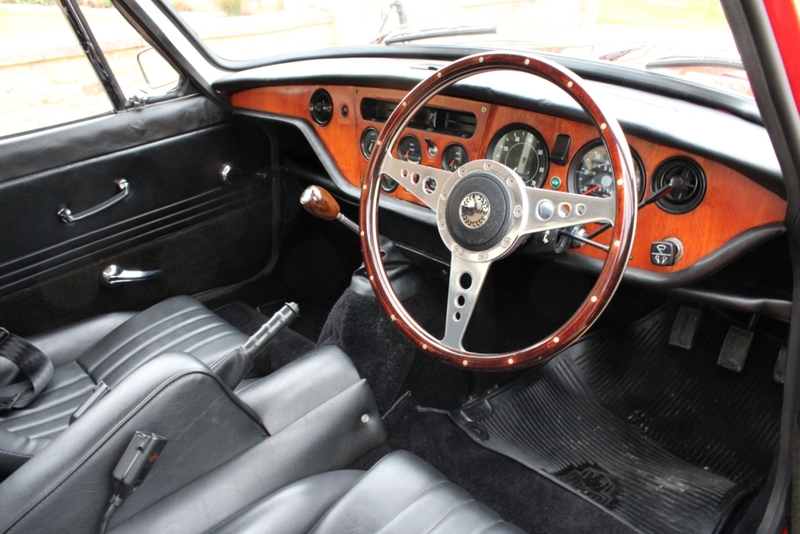 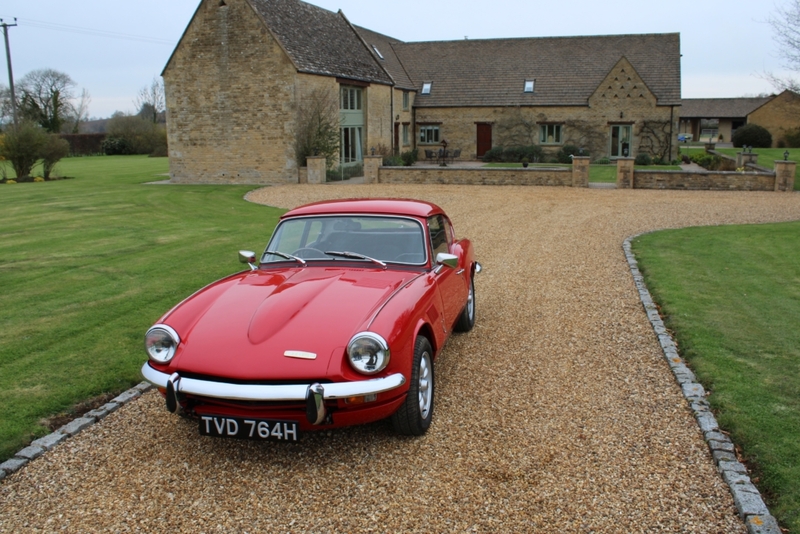 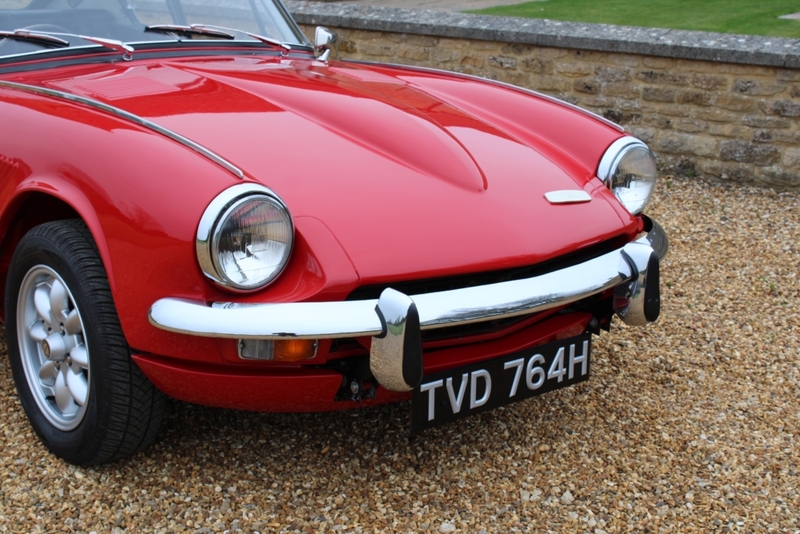 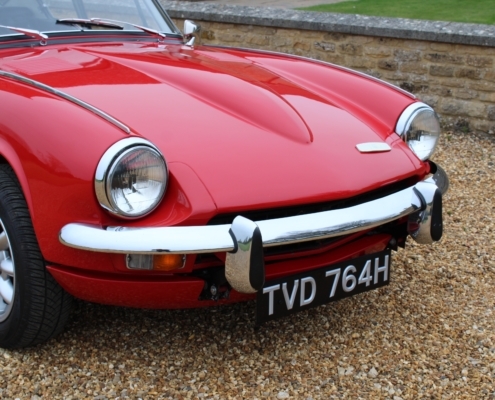 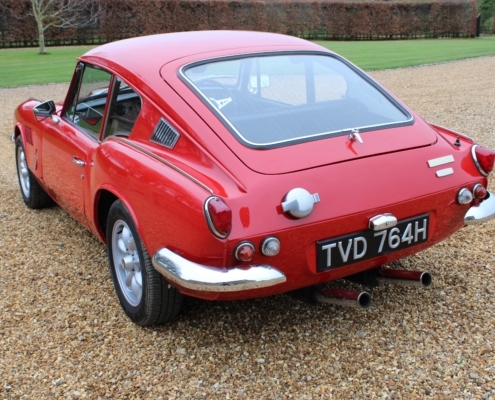 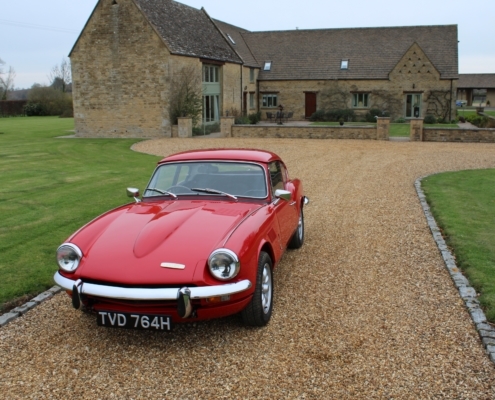 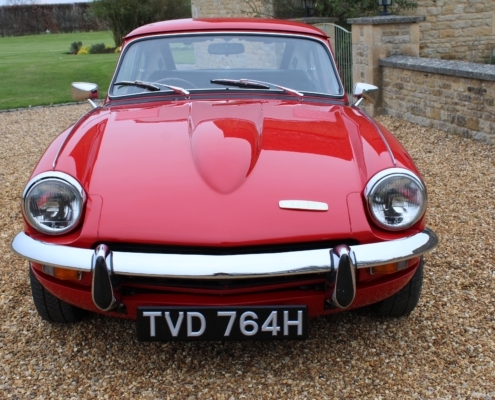 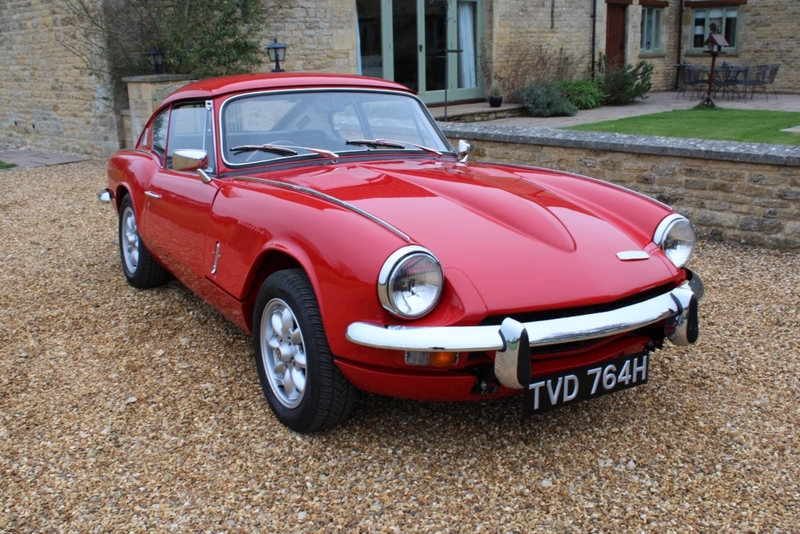 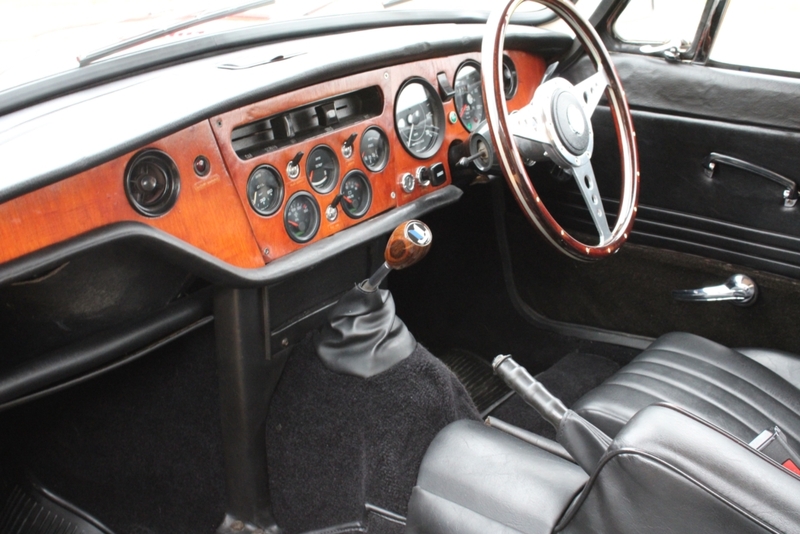 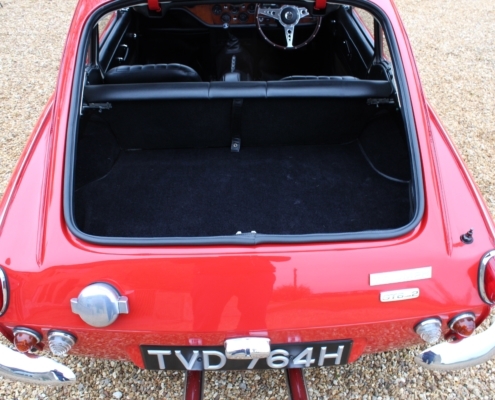 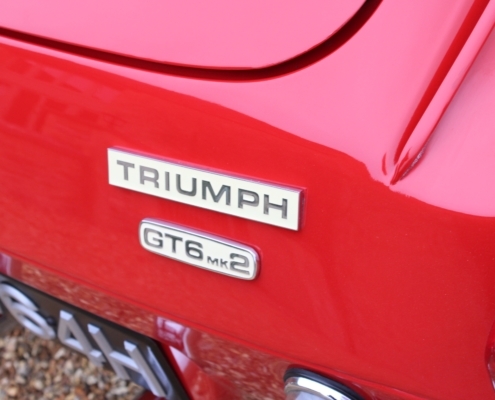 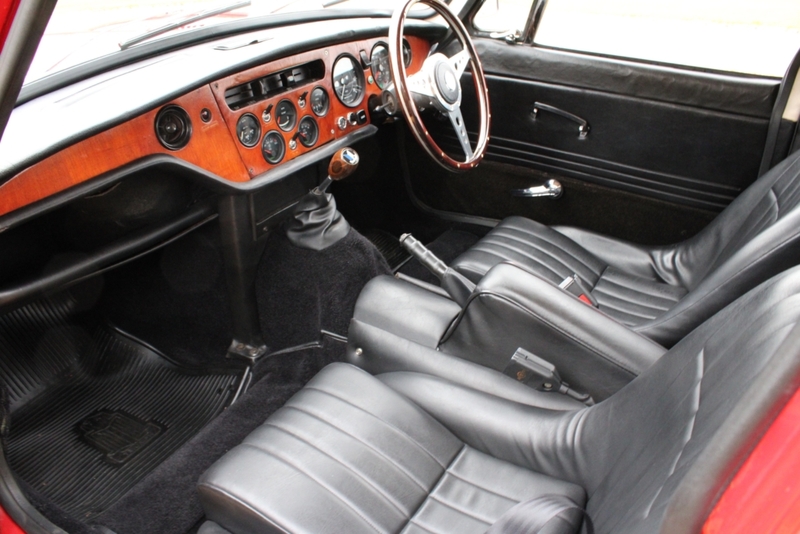 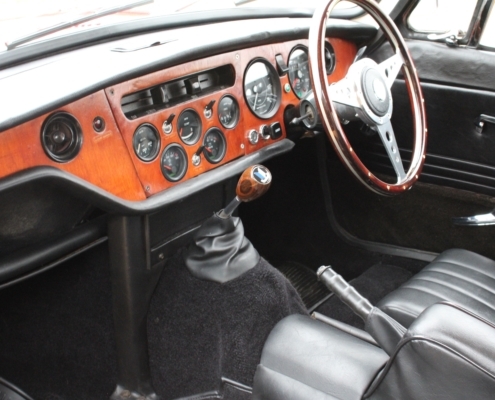 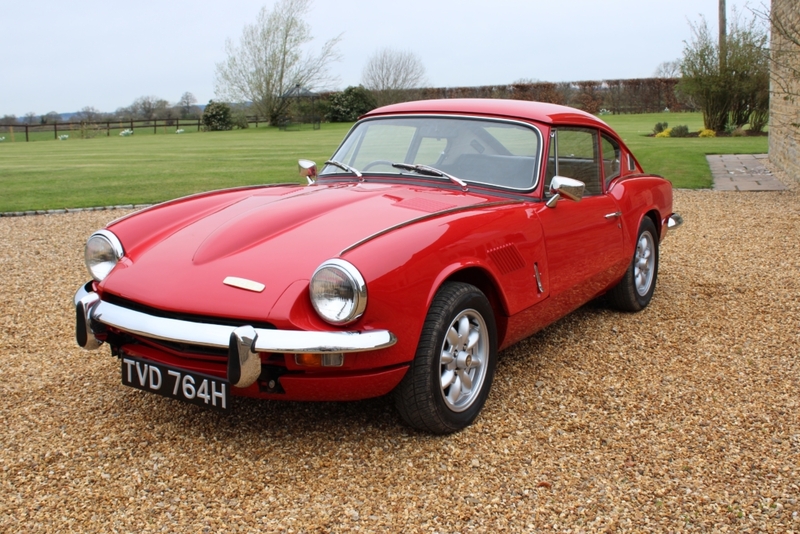 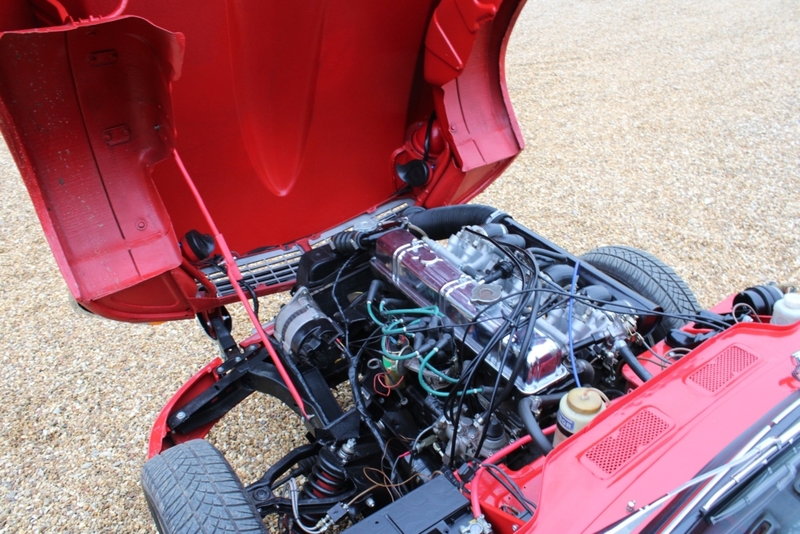 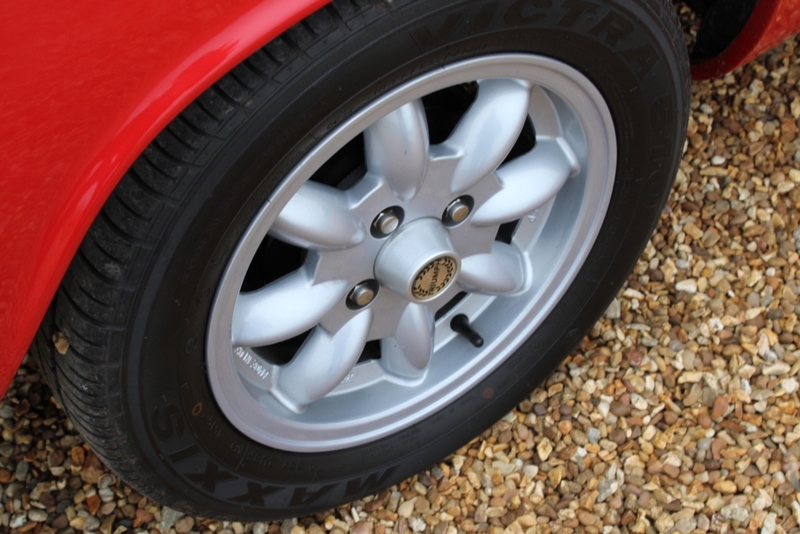 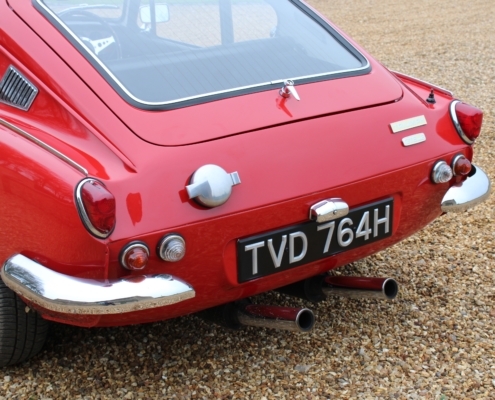 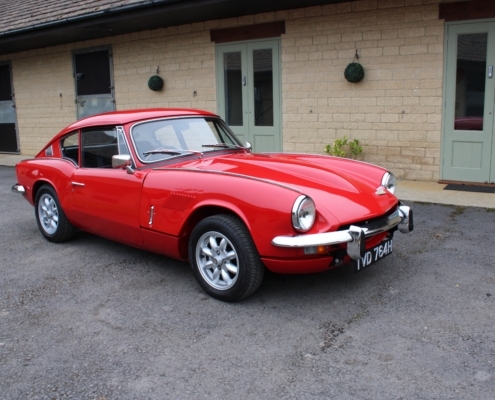 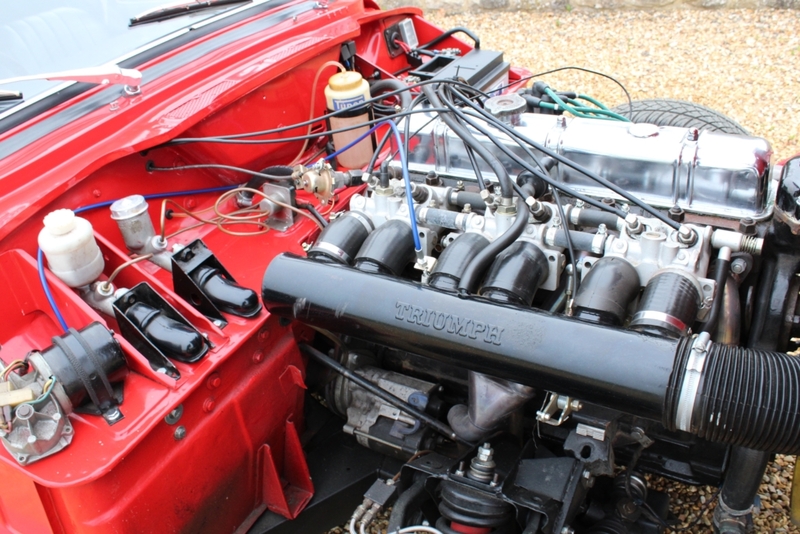 As was common the 1980/90 s she was uprated with a 2.5 litre Triumph fuel injection providing much more power than the standard 2 litre and making this a very special drivers car. 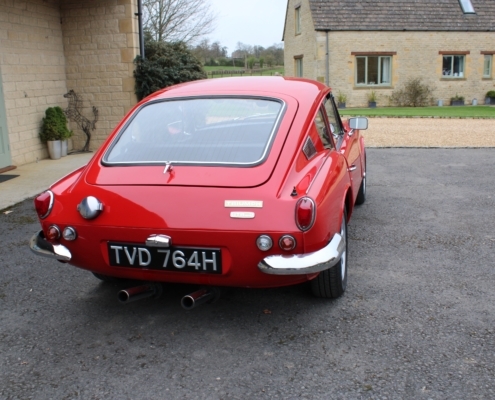 Today, she still presents beautifully and drives perfectly with 130 bhp and long legs she is a fun car with handling and brakes uprated to cope with the power increase.